A lot of guys come to the OUCH with the idea that they pay good money to play a game, and they should have the freedom to do what they want to do in game without living under anyone's restrictions. I wholeheartedly agree: No one should be forced to play a game where they are not free to play the game they want to, within the rules and mechanics of the game. This is where OUCH instructors have come to believe that managing students, teenagers and adults in real life, is like herding cats. The direction to go is pretty clear, but cats are very independent creatures. They go where they want to go more often that where we want them to go. So we have developed regulations and guidelines which channel the cats as painlessly as possible toward the end goal: Graduation from our Training Program. You all should understand that Open University of Celestial Hardship [OUCH] is an open corporation. We take anyone that asks to join. We train them in survival skills and basic ship combat skills. We do it for the satisfaction of helping others overcome the hurdles that a game like Eve places in front of them. We don't charge money for this service, but we ask you to pay a price nevertheless. By making the choice to join OUCH you are making a decision to pay the cost of being a member of our corporation. That cost is to give up some of your independence and fly within the rules, regulations and guidelines of our corporation. From our point of view, the price is cheap. We pay it everyday. These rules are posted on our forums and links are evemailed to every new student. We have written and rewritten them several times to make them clear and concise, but people still seem to have difficulty grasping the idea. A student recommended that perhaps we should try to clarify our simple regulations to make it easier to understand. Personally, I think that if you need to know why the rules exist, then you're probably not suited for our corporation. Instead I am posting that handful of things that students should avoid so that they can successfully complete their training. 1. Fail to register on the forum and/or make your Student Folder within 10 days of joining OUCH. If you join OUCH, you are here because you decided that you needed training. Our Training Program is Formal. There is important information on the forum for you to read. If you don't get into the forum, you obviously don't need to be in OUCH. 2. Fail to complete a session of formal training within the last 30 days. We understand that we all have busy lives and this is a game. We expect our students to actively pursue training. Make time in your schedule to attend the scheduled courses. 3. Fail to complete the requirements for graduation within 90 days. OUCH is not trying to impress anyone by being a corporation with a large number of pilots. We want active players who prefer null sec to high sec. We will not keep an idle player in OUCH. Three months is plenty of time for you to complete our course. Extensions are granted on a case by case basis. 4. Fly any ship in low sec, null sec or wormhole space prior to completing required training. You joined OUCH to learn how to survive outside of High Sec. If you think you can do it on your own, without training, you should continue your self study in another corporation. 5. Fly any ship in low sec, null sec or wormhole space other than an approved T1 Frigate. PvPers love expensive kill mails. OUCH is in the business of teaching players how to avoid becoming a statistic on someone else's kill board. We love it when our students tell us harrowing tales of escaping the hardened killers of null sec, but in all honesty, we expect our students to lose ships as they practice the skills they have learned. For this reason, students losses shall be restricted to the least expensive ships possible while still having the tools to travel through low and null, and fulfill their role in our fleets. 6. Engage in PvP in low sec, null sec, or wormhole space other than in an instructor led fleet. You are not the Rifter Drifter. We don't believe in the adage that the best way to learn how to PvP is to go out and lose ships. The way to learn how to PvP is to master the basic skills you will need piloting those ships and to build your tactical awareness so you know when to fight and when not to fight. 7. Engage in PvP in high sec, outside of corp sponsored PvP. We allow students to duel with one another in high sec, provided that they are flying approved student frigates. We hold periodic Free For All Tournaments. But OUCH does not play the high sec war game, because it's not fair to our students who are just learning ship combat and survival skills. We do not can flip, ninja loot, bait, gank or otherwise aggress players in High Sec. I realize that to some, these rules might seem draconian in nature. 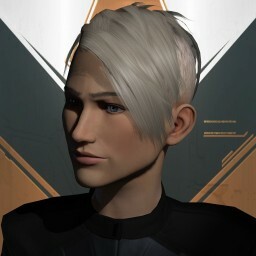 Please understand: There are plenty of corporations in Eve that will allow you to be as aggressive or lazy as you want to be, to fly and die as you see fit. OUCH is not one of them. If you can't discipline yourself to follow the rules that all of OUCH permanent members follow, we do not want you. All of the permanent members of OUCH, the pilots of the Operations Department, are players who have signed on for a commitment to give some of their game time, their recreation time, to teaching others. They stay in OUCH after graduation because they are willing to pay the costs of membership. They fly within the regulations of the Operations Department. They qualify to fly their ships. They train others. They do it because they find enjoyment in passing along what they have learned to inexperienced pilots who want more out of Eve. It's like trying out for a sports team: You might not know how to play, but if your talented enough, the coaches will teach you all you need to know. Players who pay attention, work hard and follow instructions make the team. Players who don't, get cut. It's not a hard concept to follow. It's just like real life. 1) You didn't do any training. 2) You broke the rules. When we kick people, we do it simple. No evemails begging you to start training or explaining that since you took a Drake into low-sec we have to expel you. From our point of view you don't want to stay in the corp, so why spend time on you? Now, if you were just inactive, you're welcome to re-apply and start/continue your training. If you still don't train, we'll just kick you again. If you ignored the rules, then in general we don't want you back. If you were just incredibly stupid, and broke the rules by accident, you have a better chance. Either way, we probably won't ignore you if you talk to us in OUCH-UNI. You should probably be aware that CCP has provided a new game mechanic to help new players keep their ships. They added Safeties. Safeties prevent you from shooting other players in high sec. There is no reason for you to have your safeties off. We fight in null sec, where safeties do not matter. In High Sec, you do not need your safeties to be OFF to do missions. You can shoot NPCs all day with your safeties on. Safeties only prevent you from accidentally shooting another player's ship or performing any act which allows players to shoot you. So if you kill a player, or get Concorded, you obviously had your safeties off, which mean you MEANT to shoot that Player. That's PvP. And unapproved PvP in High Sec will get you expelled.